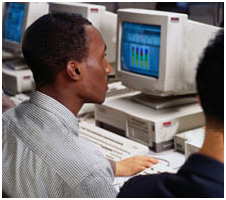 Our 7-day EC-Council ECSA Boot Camp Training Classes for Certified Security Analyst and Licensed Penetration Tester Certification teaches Security Professionals the advanced uses of the available methodologies, tools and techniques required to perform comprehensive information security tests. The objective of a Licensed Penetration Tester is to ensure that each professional licensed by EC-Council follow a strict code of ethics, is exposed to the best practices in the domain of penetration testing and aware of all compliance requirements required by the industry. Allows you to achieve your certification in half the time of 'traditional training' while delivering industry-leading exam passing percentages. Helps students grasp complex technical concepts more easily by identifying and catering to individual student learning styles through a mixed visual, auditory and kinesthetic-tactual delivery system. Blended-Learning Instruction comprised of comprehensive study materials and pre- class mentoring, official EC-Council Institute courseware, comprehensive lab manuals, and Self-Test Software. 7 Days of Deluxe Hotel Accommodation. Examination Passing Policy. Should a student complete our program without having successfully passed all vendor examinations, the student may re-attend that program within a period of one year. Students will only be responsible for accommodation and vendor exam fees. Students who successfully complete our EC-Council Certified Security Analyst and Licensed Penetration Tester boot camp training will possess the knowledge and skills required to design, secure, and test networks to protect your organization from the threats hackers and crackers pose. The ECSA Training program certifies individuals in the analysis of outcomes from hacking technologies and tools. To achieve the certification, candidates must pass exam 412-79 that covers interpreting and analyzing outcomes you come across during routine and exceptional security testing.